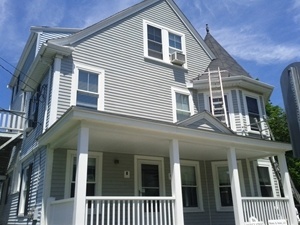 Are you looking for a professional painting contractors who provides service in Essex, MA? If so, call Premier Painting, your local interior and exterior painting expert. Our Essex painting contractors can help you significantly improve the look and value of your home with our professional painting services. Premier Painting is all about providing you with top-quality service. We offer excellent workmanship and the type of customer care service you can depend on. In addition to painting, you can count on our team for expert wallpaper installation and removal service as well as a wide variety of handyman services. Take a look at the services our Essex painting contractors can provide you with. If there is anything we do for you, please give us a call or use our online contact form. We look forward to meeting you! Interior painting goes a long way to lightening and brightening the mood of any room. If you're tired of the same boring paint scheme inside your house, let us help you choose new colors. Our professional Essex painting contractors can give you some great ideas, or we can apply the paint colors you already know and love. Let's talk about your interior painting project today! There's no time like the present to get started on an exterior painting project. If you've put off house painting for some time and are ready to get the project completed, let us offer you a competitive estimate. Our professionals offer great rates and will ensure your exterior painting project is handled quickly and efficiently with the highest-quality workmanship. In addition to painting and handyman services, Premier Painting offers professional wallpaper installation and removal services in the Essex, MA area. We can remove any type of wallpaper, even the most stubborn kinds. Whether you'd like us to paint afterward or would like us to install new wallpaper, we'll make sure the results are flawless. Contact us to get your free estimate today! If you are looking for a reliable Essex painting contractor, please call Premier Painting at 978-532-7788 or complete our online request form.